The idea behind HealthInsightUK is to create a forum for campaigners/academics/clinicians/ journalists who are critical of current approaches to preventing and treating the big five metabolic disorders – obesity, diabetes, heart disease, Alzheimer’s and cancer. Some are challenging the idea that increasing drug prescribing is the solution, others are writing about how best to stay healthy. But we all broadly agree that there is a need for a radical change. To move from top down medicine – take your pills – to a system that allows patients to become well enough informed to take much more responsibility for their own health. We believe that good medicine should aim to treat the underlying cause of a disorder rather than simply help to control the symptoms. That promising treatments should be properly tested, regardless of whether they have a large commercial potential. That just as drugs can often be the sensible option when we are sick, that diet, an adequate level of nutrients and lifestyle changes are a sensible starting point for staying well. Everyone agrees lifestyle is important in health; however the fact that the vast bulk research funds goes on drug development drugs for the metabolic Big Five shows money is not where the mouth is. Sustaining health rather than treating sickness is a worthwhile aim in itself. What is not economically sustainable is continuing to rely on drugs to treat the growing burden of metabolic disease, let alone as a way of treating the rapidly rising number of old people with multiple drug regimes that have no evidence base. Some have concentrated on exposing the shortcomings of various drugs, showing how they can be far less effective or much less safe than claimed. This makes the case for a lifestyle approach more compelling. Others are directly challenging conventional ideas of what a healthy lifestyle should involve. Here you will find detailed critiques of the widespread us of various drugs, such as statins, for prevention as well as strong arguments for rejecting the notion that the healthy diet should be based on a low fat, high carbohydrate intake. There will be challenges to the idea that saturated fat is harmful or the claim that reducing calorie intake is the only way to lose weight. Articles will be informed, backed by evidence and references where relevant but the style will be intelligent journalism rather than academic treatise. By providing a platform for experts in different areas but with a broadly similar outlook we hope to stimulate discussion and new connections. We also hope to develop a clearer and more informed picture of how we might need less medicine rather than more. Hi Hannah, Love what you’re doing. I run a PT and Diet Coaching business in Shropshire and preach LCHF with great results. My only problem is keeping them on plan. 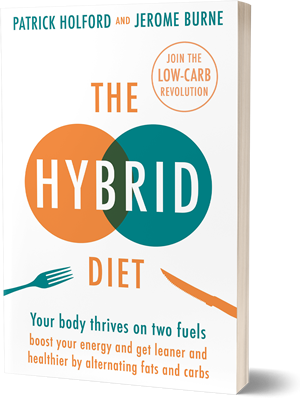 Because the majority of the population are eating worse than the recommendedations on the dreadful eatwell plate, and the with most restaurants and cafés offering the same fayre, they’re often tempted out of their LCHF lifestyle. I’m aware of the most recent study which has proved that eating Paleo v Low Fat is far better for weight loss. It’s getting the message across that’s more difficult without a system of education. When I did my nutritional training I learnt how important it was to avoid saturated fat and to make sure I promoted the consumption of a diet consisting of mainly carbohydrates and low fat food. There need to be a specific formal qualification for all personal trainers and nutritionists backed up by a reputable organisation. And that is where the problem lies. Medicine is the study of disease,whereas nutrition is the study of health. Each of us is responsible for our health.Few diseases become a problem if we take responsibility. Experts agree the key to healthy eating is the time-tested advice of balance,variety and moderation. Maintain a healthy weight that’s right for you depends on many factors including height,age,and heredity,Obesity increase the chances of high blood pressure,heart disease,stroke,diabetes ,some types of cancer and other illness.Being too thin can increase your risk for osteoporosis,menstrual irregularities and other health problems. Eat a variety of nutrients you need more than 40 nutrient for good health . Make change gradually:there are no super foods or easy answers to a healthy diet don’t expect to revamp you eating habits overnight.Don’t feel bad if you love foods such as apple pie,potato chips,or ice cream.Eat them in moderation,and choose sugar-free jelly,diet yoghurt,fruit. Exercise must be included:more than four hundred muscles keep your body firm or let sag.If those muscles aren’t made strong and balanced in relationship to each other and kept that way through a weekly fitness program they slowly wither as time goes.With healthy well-toned muscles,your body is balanced better coordinated,and more vibrant. You will be better able to resist fatigue,reduce excess body fat,and prevent many common backs,knees,and ankles strains and pains.What is your purpose in life?. Nafsica, diet and low sugar foods are just full of chemicals that the body certainly does not need. Cure yourself?Natural nutrition is the most important factor in regaining and maintaining health. Good foods set you up for strong personal immunity which is your greatest asset it underpins your enthusiasm,confidence and common sense,on which you can base a reaction pattern for tackling everything you do,resourceful enough to deal equally with awkward people and the potentially negative feelings they arouse.This entirely positive outlook on everything is powerful,versatile self-respecting and self -reinforcing it is the essential hallmark of health and well-being. Variety is the spice of life.Is up to you to have the motivation and take responsibility DONT WAIT FOR THE FAMILY DOCTOR WHEN IS TOO LATE TO GUARD AGAINST DISEASE.I am interested in prevention.If you are critical why you didn’t come up with suggestions. Mainly things that grow directly in the soil.These keep your blood clean and only produce waste acids at the rate you can comfortably cope. Bad mood foods: chips,sausages,crisps,biscuits,coke,Alcohol,cakes,doughnuts,sweets,processed food,caffeine. Lifelong learning is a power nobody can take away from you. The path to becoming Sophie lies through questioning everything.We cannot consider knowing something unless we have actually experienced it. The diet came from a fully qualified dietician NOT FROM THE THIN AIR..Anything is better than mood stabilizers. Research shows that in just a few days, a person can unknowingly go into severe withdrawal and not even known why he or she is feeling so violent.A common symptom of withdrawal is the return of the symptoms the drug was supposed to treat.Psychiatrist will commonly tell you that this is the return of the mental illness.It is not.This is withdrawal, addiction or dependency. What is happening is that after month or years of taking a psychiatric drug adjusted the body has now adjusted to it.When you then take the drug away, it creates trauma within the body, as it now has to adjust back to functioning without it. Rather than recognizing withdrawal reaction for what they are,psycatrist will frequently insist on putting the patient back on the drug.This practice has ben referred to by expert as chasing one’s tail, medicating withdrawal, and needlessly prolonging the patients’ exposure to the drug, often for years . Whether you call it a drug withdrawal or just discontinuations syndrome the, both bottom line, psychiatrist Dr. David Healy is if there is withdrawal than there is physical dependence.All you need to know is read English.It is shameful having the minister of health James Reilly talking on radio program 2011 =2104 saying there are no withdrawal effects it is appallingly dangerous.My diet came from a fully qualified dietician I don’t make tell lies.The integrity of Minister REASSURING THE PUBLIC and TALKING that SSRI AND PROZAC IS SAVE BUT ACTUALLY CAUSES CHILDREN OR ADULT TO BECOME VIOLENT IS MOST SHAMEFUL. himself and examined both his strengths and weakness and has a plane programme for overcoming his weakness. Character is the real you the soul of man which is made up of the mind, emotion and will. The place to change behaviour is inside man not outside. Milgram’s research, we should face the uncomfortable truth that if ordered by someone we accepted to be in a position of authority to commit an atrocity, we would probably do it. Agency probably contributes to genocide. Interviews with Nazis and participants in more recent instances of genocide (Peter and Richards, 1998) reveal that people believe that they are serving the interests of their community or society and that even if they find their tasks repulsive they believe that they must carry them out. Modern research has believed that charisma is not a set of personality traits was once believed, but rather a set of social skills, the ability to convey a vision to followers. Leaders such as Hitler had this skill in abundance and this may have been contributed to the mass obedience of his orders.